A lot of people tell me that they are all or nothing. That they cannot fathom how to find a middle ground with respect to eating and exercise. This makes sense to me. After all, we’re conditioned to accept and relate to polarities: failure vs. success, “good vs. bad” happy vs. sad. But very few of us are able to think in shades of gray, especially when it comes to leading a healthy lifestyle. Because our food culture has made it so difficult to naturally eat in a balanced and healthy way, we have taken extreme measures to do so that run antithetical to our own well-being. We massively restrict calories or food groups when we diet or we binge or overeat. We determine our self-worth and success based on how our efforts affect the scale. We sprint for 8 miles after a yoga class or sit on our bums asking someone else to get the remote. Humans have more difficulty defining and making sense of nuances though. It’s not that we’re incapable of it, it’s just not as clear, structured and defined which we also crave in our lives. We all have more masculine sides of our brains that crave structure, data and a clear path. We also have the more feminine sides which is more about flow and intuitiveness. But, what if we could access both sides of these powerful parts of our brain and approach food with both structure AND flow, with empiricism AND intuitiveness and by planning sometimes AND by being spontaneous sometimes. The trouble starts when we start to see eating healthfully in absolutes and in these derisive success or failure terms. Do we sometimes need to pre-plan what we’re going to eat for dinner? Absolutely! Because our food culture makes it difficult to eat healthy in the first place (use the construct of a complicit and unhelpful food environment as the backdrop as to why we need to plan at all). But is it also ok to go with the flow sometimes and leave all the planning and pre-decisions by the wayside. Also a resounding yes. 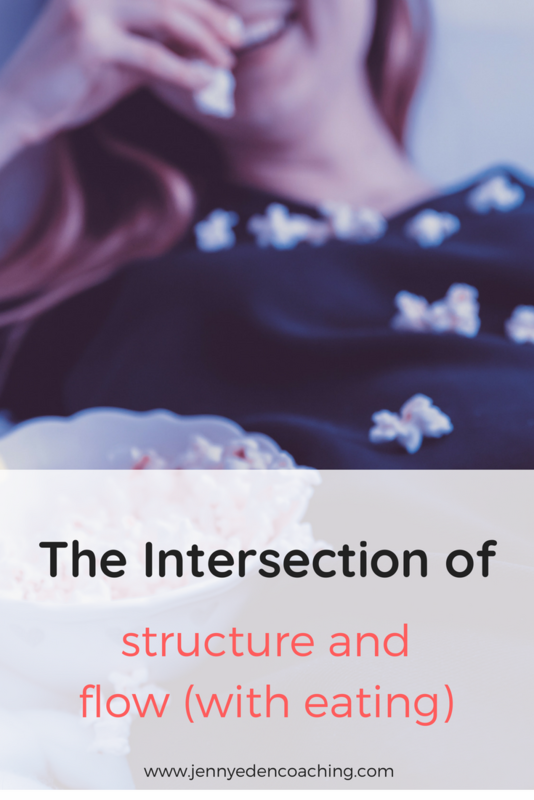 Marrying the two sides of your brain is where you’ll find the sweet spot of intuitive yet intentional eating – something I call Eating Empowerment. It means that you can write in a food log if you like AND skip a day or two when you’re traveling. It means you can have a day to meal plan, shop and prep foods AND say screw it one day if someone invites you to dinner. It means you can plan to bring healthy snacks when you’re on the go to ensure you eat nutritiously AND try that fun new sample at Starbucks. The reason you are thinking in black or white terms is because of dieting culture in the first place. If you have ever been on a diet then you’ve been subjected to food rules that when broken leave you shattered and frustrated and often ricocheting you back to bingeing or bringing no awareness to your eating at all. 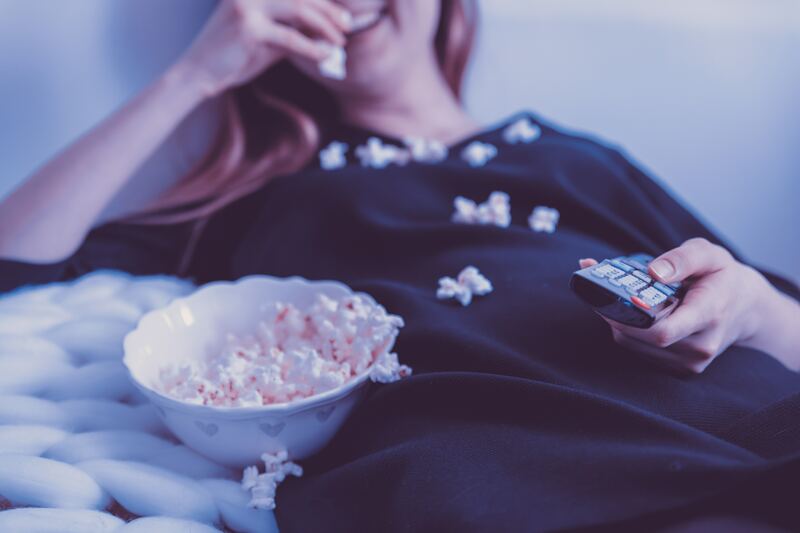 If you’ve done that a while and then find yourself feeling angst because you’re not doing anything consciously to be healthy, you might then find yourself choosing another bound-to-fail diet and begin the soulless cycle over and over again. By abandoning the arbitrary rules of dieting culture and tuning instead back to self, back to curiosity instead of inflexible regulations, you can rediscover that sweet spot or work on finding it for the first time ever. When we turn back to becoming a dietary detective instead of outsourcing our nutrition to outside experts who don’t know you and your unique story, we become emancipated, expansive, and aware and make decisions from a place of confidence, empowerment and intrinsic knowing instead of from fear that is thrust upon us by marking foods as good or bad. You can live in absolutes or you can live with nuance around food. You can chastise or applaud your every food decision or decide to let all morality and judgement go. You can obsessively count every calorie, fat gram and carb or you can be curious about them yet still let it not take over your life and every thought. If you need help, I’m here to guide you. Sign up for my Food Story intensives.